Behind every great college or professional athlete is a story. In part II of The Journey of College Softball Recruiting: Alexa Peterson, we pick up at the time when Alexa had decided to commit to the University of Oregon. From here, we’ll dive into specific tips you can use for your players to help them reach the next level! 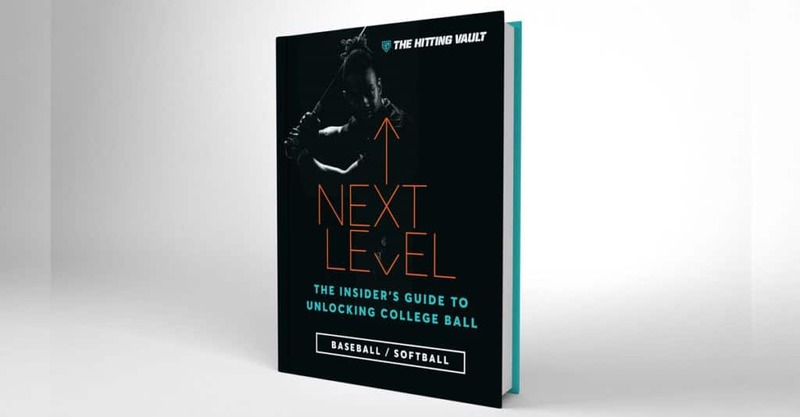 If you are interested in diving deeper into specific tactics for helping your players reach the goal of playing baseball or softball in college, check out Alexa and Coach Lisle’s digital book: Next Level: The Insiders Guide to Unlocking College Ball. Missed the first post? Check it out here: The Journey of College Softball Recruiting Part I: Alexa Peterson. Develop a list of colleges and regions where you would like to go to school. At a young age this can be tough, but put some thought into it and realize that these preferences can change over time, and that’s okay. After coming up with your list, start emailing coaches and be sure to include your name, graduation year, position, the teams that you play for, your schedule, and a headshot in uniform if you have one. If you’re like most kids, you need to send in a skills video to display your skills to the coach. These do not have to be fancy videos at all but should start with a quick intro and highlight some of your best skills and abilities. No more than 3 minutes long. Remember, they will not be able to contact you until September 1st of your junior year, but you can email them all you want. Pro Tip: Work to get these coaches on the phone. Alexa would call coaches directly, often times only leaving voicemails for coaches who were not allowed to call her back due to NCAA recruiting rules. Many people would ask…What’s the point in calling these coaches if they are not allowed to talk to me? Being a student of the game, Alexa knew that coaches could only talk to her if she initiated the outreach. She would leave voicemails for the coach and specifically say that she would reach back out to them at a specific date and time, this way if coaches did want to talk with her, they would make themselves available and pick up the phone. One very important factor in getting recruited to play college softball is to not only rely on your high school team to get you exposure. Especially if you are from a smaller school, or on a team that doesn’t regularly make the state tournament. It’s important to play in the summer and travel to tournaments where college coaches will be in attendance. Don’t forget to reach out to them a week in advance and let them know you’re going to be there! As we mentioned earlier, don’t leave your recruiting journey up to anyone else. Own it, and be proactive in reaching out to coaches and letting them know you’re interested. Email them regarding tournaments you will be at, fill out questionnaires, and attend any college camps that you can to make a name for yourself! Most importantly, and a valuable lesson that Alexa learned throughout her recruiting journey and recruiting as a coach, is to not get discouraged. You need to do your homework on the schools, have a realistic understanding of your skill level and understand when college coaches can speak with you. Don’t assume that they’re not interested if they don’t respond to your emails, but also don’t give up just because you’re dream school turns you down. Stay after it and keep putting in the effort to get noticed. At the end of the day, if you combine that effort with a reasonable expectation of your abilities and finding a perfect fit, you will find your next home away from home! For more detailed information about the college recruiting journey, check out Next Level: The Insiders Guide to Playing College Ball written by Alexa and Coach Lisle to help you and your players reach the next level.